There’s nothing like a backpack filled with fresh back-to-school supplies to start getting you in the school spirit. If you’ve gotten a head start on gathering and tracking your supplies, you might be feeling inspired to hit the books! With that in mind, here are a few tips on how to use the end of summer to ease your transition back to your studies. Summer is a great time to refresh yourself by being more physically active and taking a pause from brainwork. 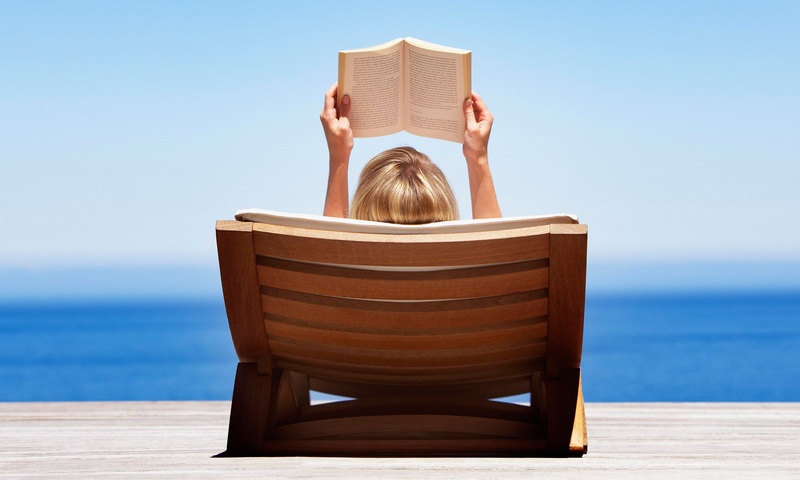 But as vacations end and days begin to grow shorter, you can get a jumpstart on what’s to come in the fall by easing yourself back into reading. Visit your local bookstore, library, or an online bookseller like Amazon.com and you’ll find limitless choices for reading pleasure. Pick a light and fun fiction page-turner that will hold your interest and won’t feel like work. Reading an enjoyable book is a great first step in getting back in the school mindset. Don’t wait until the day before classes to line up your foundation of educational tools. While your basic supplies are important, today’s student needs tech tools as well. The best of all worlds for the budget-conscious student is to use a mobile office suite like WPS Office. Students can get a lot out of this productivity suite whether working on a desktop computer, laptop, or mobile device (iOS or Android). The basic software package is free—perfect for budget-conscious students. It’s also fully compatible with Microsoft Word, PowerPoint, and Excel to ensure that you’ll have everything you need to help you complete your work in any class. You can get ready for the first day of school by downloading WPS Office 2016 Free Edition for your PC, or check out the mobile options for iPhone/iPad or Android. Once you’ve downloaded WPS Office, you can try out using its key applications Writer, Spreadsheets, and Presentation so that you know exactly how to use them once school starts. Let’s start with Writer, which is a text-editing app that’s compatible with MS Word. Writer is an excellent tool to help you craft essays or compose other written assignments. You can also use Writer to take notes on your laptop or tablet instead of using paper and pen. As a summer project and way to test-drive Writer, make August your month to keep a diary to get back in the practice of writing and note taking. Record highlights of your summer and upcoming to-dos for the fall. As you do so, practice using the wide array of formatting tools that comes with the app. Try different colors, font styles, and layouts. You can even insert images or add charts to your diary! You can also sample the program’s spell-check feature and familiarize yourself with the more than 50 keyboard shortcuts that WPS Office provides. In our previous two-part series on “Preparing a College Budget?” we went deep into specific details about how students can use WPS Office Spreadsheets to simplify the college student’s process of creating and maintaining a budget. If you followed those steps, summer is a great time to take a final look at your finances. Review your spreadsheet for your budgeting line items, both expenses and sources of income. See if you need to add or delete anything from your spreadsheets. You can also reread the second part of our budgeting series to think more about finding your formulas, managing with macros, and making multiple sheets work for you. Presentation is another WPS Office app that’s invaluable for students. Once classes start, you’ll be able to use it to create high-quality presentations—the program is compatible with MS PowerPoint. But to get up to speed this summer, you might want to try out some of Presentation’s features and sample the options it offers, so that you’re familiar with what the app can do. Like Writer and Spreadsheets, Presentation comes with a wide range of familiar formatting tools and lots of extras, from built-in style slides and ready-made templates to advanced animation and slide transitions. In fact, you can insert almost any type of multi-media file right into your presentation, whether you want video, auto, images, or Flash. In our next post, we’ll continue this topic by showing you some fun specific ways that you can use Writer, Spreadsheets, and Presentation to do summer “assignments” that can polish your back-to-school skills and prep you to head back to campus.